Cream sugar and fat, add vanilla. Mix cocoa with hot water, add to butter mixture and beat in egg. Mix water and vinegar and dry ingredients separately, then alternately mix dry and liquid into the butter mixtures until well combined. Grease and dust your pan, fill with batter and bake for 30-40 min. The book gives a good advise about the skim milk powder (I didn’t have any and that stuff is expensive): You can replace the milk powder, water and vinegar with sour milk or buttermilk. 1 cup or 250ml. 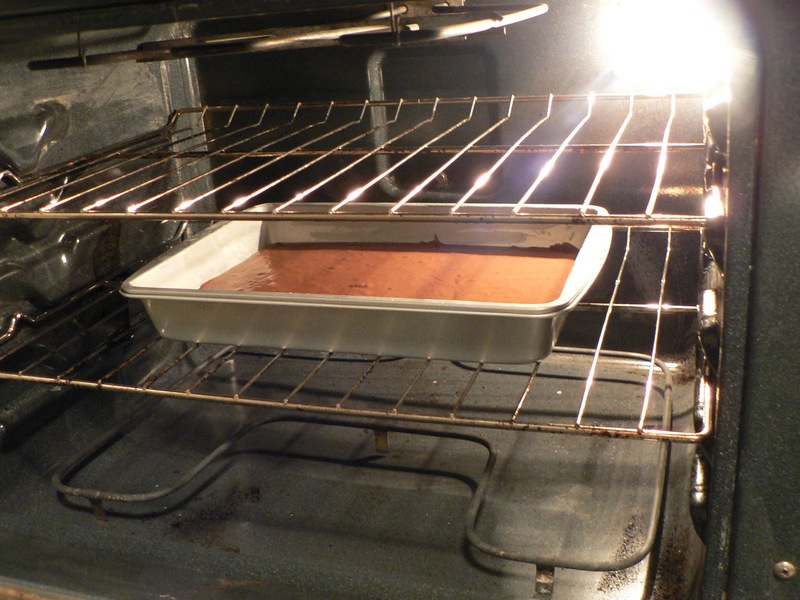 This chocolate cake has a nice texture and is easy to work with. However, I do reduce the sugar because I think it tends to be too sweet. Posted in Cake and tagged baking, basic, cake, chocolate, recipe. Bookmark the permalink.